Ted: He says exactly the same thing about his date with Lara as he did about Sue. Ted repeats basically the same first date with every new woman. For Exhibitionist Narcissists such as Ted, women are basically interchangeable as long as they serve the same function for him. As a Closet Narcissist, Lara looks up to Ted and idealizes him for the exact same qualities that non-Narcissistic Sue found obnoxious. Lara also misunderstands Ted. Unlike Sue who quickly realized how selfish Ted was being by ordering for her, Lara idealizes him for it. She mistakes his selfishness for confidence. Closet Narcissist Basic Relationship Style: They choose someone that they can idealize as perfect and special. They bask in this person’s reflected glory. They imagine that some of this specialness will rub off on them. They treasure the small bits of approval that they get from whomever they idealize. They often form relationships with Exhibitionist Narcissists because they mistake their defensive grandiosity for true self-confidence. 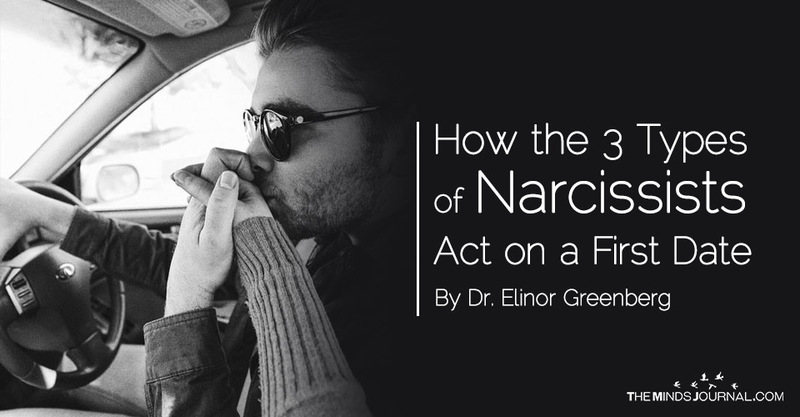 Toxic Narcissists are the “meanies” of the Narcissistic group. They are not satisfied by being the center of attention, they want complete dominance and others to submit. They usually have a sadistic streak and enjoy hurting other people. They want you to obey and fear them. Some are what I think of as “Failed Exhibitionists.” They are angry and bitter that they have not been able to live up to their own unrealistic fantasies of limitless achievement. They envy anyone who has what they want. They have given up on being a constructive force in the world and are now mainly intent on thwarting other people’s happiness. Ted, the Exhibitionist Narcissist, has a first date with Mona, a Toxic Narcissist. Ted tried to do his usual first date plan. Here is how the evening went.